I didn’t get chance to look for a dog at lunchtime today so I planned to have a walk around the block when I got to nursery. 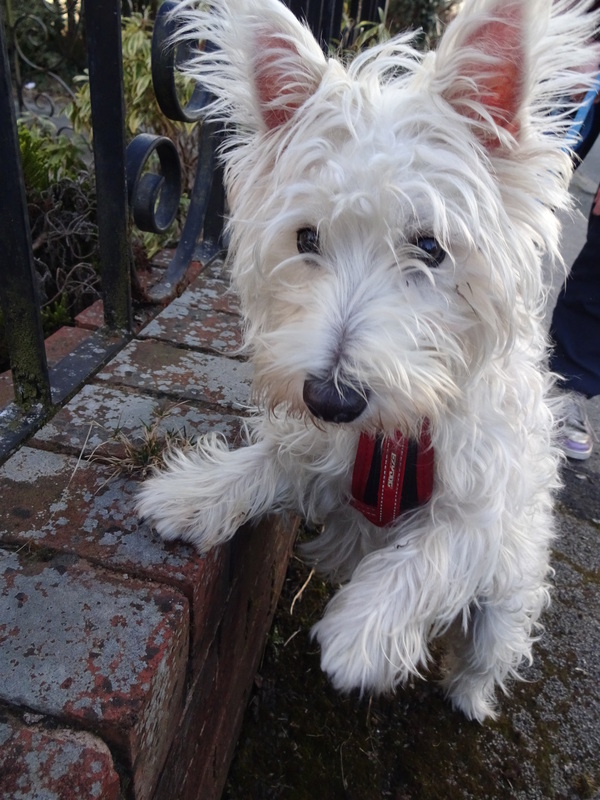 I was lucky and as soon as I parked up I spotted a lovely Westie and so I went over to say hello. Willow was very excited, she didn’t keep still bless her; I was pretty lucky to get a good picture! Favourite pastime: Walking and exploring the forest! Willow doesn’t like playing fetch! I am learning the hard way that Westies don’t really do the whole fetch thing – unless it somehow benefits them. 🙂 I wind up getting the ball more often than Jacques does. lol Willow is a cutie!! Strangely enough mine does, but only when she feels like it and only if she gets to choose the item to be fetched (her little stuffed teddybear! ).